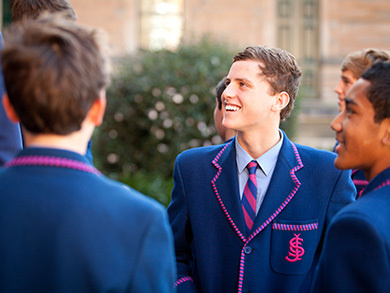 The College offers a number of scholarships for boys who display high academic potential, and who would benefit from attending a school like St Joseph’s. Scholarships are only offered to students who are not already attending St Joseph’s College. They are not available to students who are currently enrolled. St Joseph’s College Academic Scholarships provide one half (50%) remission of whichever fees are applicable to the successful student/s (boarding or day) for six years of secondary education at the College. Up to three scholarships are offered to students who sit the ACER Cooperative Scholarship Testing Program on Saturday, 23 February 2019. Click this link for more information and to register. One (1) full scholarship providing full remission of boarding or day fees. Awarded to a mathematically gifted student currently in Year 8 or Year 9. The successful applicant would be placed in the Year 9 or Year 10 Accelerated Mathematics course and would sit their HSC in both Mathematics Advanced and Extension 1 in Year 11 and the Mathematics Extension 2 course in Year 12. This scholarship is offered to attract new students to St Joseph’s College in 2020 and is not available to students currently attending the College. Applicants are to sit for an examination set by the College. One (1) full scholarship for students gifted in English, providing full remission of boarding or day fees. This scholarship is offered to attract new students to St Joseph’s College in 2020 and is not available to students currently attending the College. Applicants are to present a portfolio of their work and sit for an examination set by the College. Up to two (2) scholarships will be offered, giving a one-half remission of boarding or day fees for up to six years. These scholarships are offered to attract new students to St Joseph’s College in 2020 and are not available to students currently attending the College. Music tuition and instrument hire for one instrument is provided. Preference is given to flute, trombone, viola and orchestral instruments. St Joseph’s College Foundation, through the generosity of supporters of SJC Indigenous Fund and SJC Indigenous Scholarship Fund, offers means-tested scholarships and bursaries to Indigenous boarding students, providing partial funding for up to six years of boarding and tuition fees. The IYLP offers scholarships and leadership opportunities to young Indigenous Australians, with a focus on youth from remote and regional communities with funding support through the Department of Prime Minister and Cabinet. In addition to helping Indigenous students achieve their educational aspirations, the IYLP supports the development of positive role models and leaders to inspire other Indigenous students. The Smith Family, in conjunction with St Joseph’s College invites enrolment applications for boarding and tuition. Information, enrolment applications, criteria and other forms are available from the Admissions Manager of St Joseph’s College and from The Smith Family. Places are open to Indigenous students entering from Year 7 through to Year 12. Applications for enrolment are submitted directly to the Admissions Manager of St Joseph’s College where applications will be assessed and considered. An application for enrolment process may involve an interview with the prospective student and family at St Joseph’s College and a telephone or online interview with the IYLP Manager. For more information on IYLP public website please click here. Families from rural, regional and remote areas of New South Wales have been an integral part of the unique St Joseph’s College community since its foundation in 1881. Ensuring the continuation of this strong link between Joeys and country families is a priority for the College. 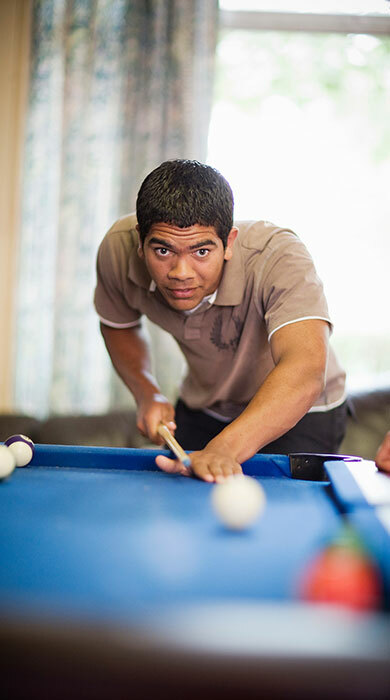 Boys from the Bush Bursaries acknowledge the importance of these relationships by providing financial support to students from rural, regional and remote areas and provide up to one-half remission of the boarding and tuition fee. These scholarships are means-tested and give preference to students commencing in Years 10 to 12. Presented by the Farrell Family in memory of their parents. The Gregory Patrick and Marie Dolores Farrell Memorial Scholarships are partial scholarships, offering up to one-third remission of the boarding and tuition fee. 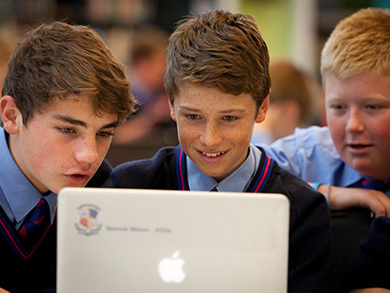 These means-tested scholarships are available to boarding students entering Years 10 to 12 from rural/regional NSW who epitomise the Joeys spirit of striving for better things and who, without such assistance, would not be able to attend St Joseph’s College. Presented by the Renshaw family, the Dr Maurice Edward Renshaw AM Memorial Scholarships are partial scholarships, offering up to one-third remission of the boarding and tuition fee. Renshaw Scholarships are means-tested. They are available to boarding students entering Years 10 to 12 from rural/regional NSW who epitomise the Joeys spirit of striving for better things and who, without such assistance, would not be able to attend St Joseph’s College. The Tom Petersen Memorial Scholarships are presented by St Joseph’s College Foundation and provide up to one-third remission of the boarding and tuition fee. Petersen Scholarships are means tested and preference is given to students commencing in Years 10 to 12. Presented by Mr Michael Dorrell (1991) in honour of his grandmother, the Clarice Dorrell Scholarships are partial scholarships offering up to one-half remission of the boarding and tuition fee. 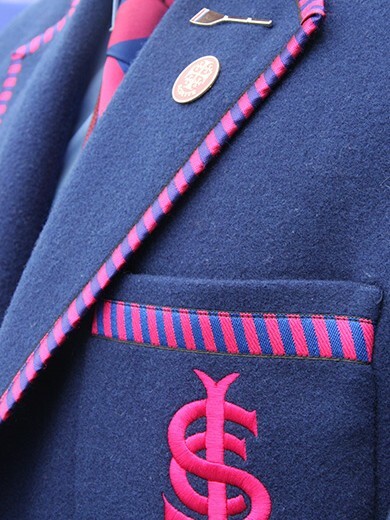 Available to new students entering Years 10 or 11 who show significant academic aptitude and community involvement and epitomise the Joeys spirit of striving for better things and who, without such assistance, would not be able to attend St Joseph’s College. Dorrell Scholarships are means-tested and may give preference to students from outside Sydney metropolitan area. Please note: The Boys from the Bush Bursaries and Farrell, Renshaw, Petersen and Dorrell Scholarships may not be awarded every year. SJC Old Boys’ Union (OBU) offers means-tested bursary support to sons and close relatives of Old Boys through the OBU Bursary and Cosack Bursary programs. These bursaries are designed to help provide an educational opportunity at St Joseph’s College that would otherwise not be financially possible or accessible to some sons and relatives of Old Boys. The OBU bursary program is an integral part of maintaining the fabric of the College which has existed for more than 130 years. In order to maintain the integrity of the program, there are strict guidelines and eligibility criteria that must be met. Further information on SJCOBU Bursaries and application forms are available from the OBU website.